Hello 2016! What a busy fall and holiday season it's been. I'm ready for things to settle down a bit and to hopefully get back in a routine. The morning routine is a constant struggle for me and something I really want to work on in the new year. If you're like me, every minute counts in the morning. 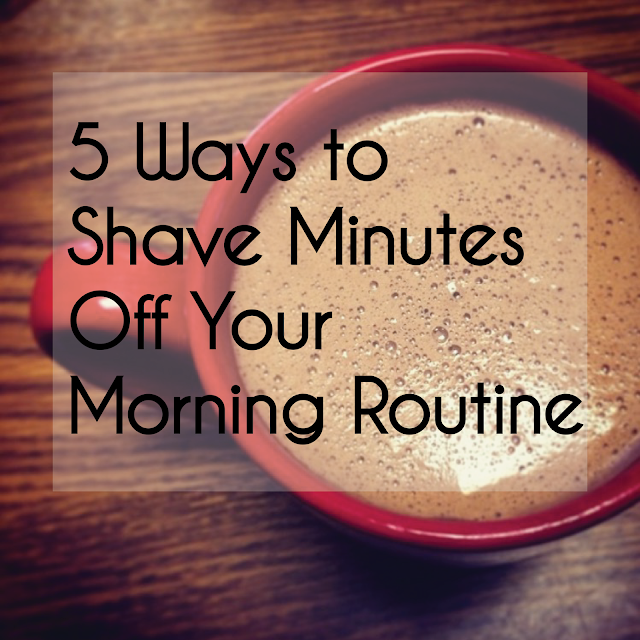 Here's a quick list of tricks I used recently to shave a few minutes off my morning drill. Most are obvious but, I think all serve as a good reminder. 1. Pick out your entire outfit the night before--including undergarments, accessories, shoes and outerwear. Although it sounds obvious, it's a major time saver when you're trying to get out the door. If I had a dollar for every minute I've stood in my closet staring at wardrobe options, I'm pretty sure I could take a really awesome vacation somewhere exotic. Does your outfit need ironing? Make yourself do it before bed. Possible catastrophes with the iron come morning time could cost you big. And don't forget to check the weather as that will certainly impact your choices. 2. Wash your hair the night before and go a day or two between washings. Even if you aren't a shower the night before kind of gal, that doesn't mean you can't wash your hair the night before. This is the BIGGEST time saver for me. You may remember these posts (here and here) about dry shampoo--my favorite tool for extending washings. 3. Make your time in front of the mirror count. Organize your make up bag keeping only the essentials handy so you don't waste time digging through unnecessary items. Also, know what you can skip if you start running behind. Are three eye shadow colors really necessary on days when you're running late? 4. Skip technology. It's so easy to wake up and get sucked in to checking your favorite social media channels and email. Save this for any spare minutes you have after you are completely ready to walk out the door or save it for lunch time. 5. Plan your breakfast and have it ready to go. Just as mentioned above, do as much as you can the night before. If you're a coffee drinker, have everything prepped and ready so all you have to do is press "brew." Again, all pretty obvious but good reminders none the less. What tips and tricks do you have for shortening your daily routine? Here's wishing you stress free mornings in 2016! When it comes to cosmetics, I'm always looking for the next best thing. Sure, I have my favorites but I'm always up for trying new products. (Bring on the samples!) 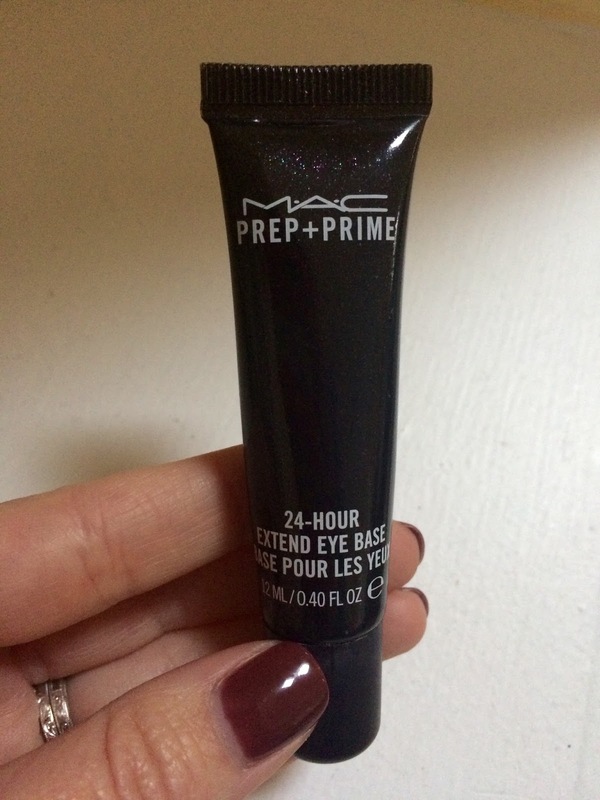 While I love Urban Decay's Eyeshadow Primer Potion, for some reason it doesn't work well with my new favorite mascara--more on that later. So, I decided to go back to a product I used for years. Mac's eye paint in bare canvas. As I approached the Mac counter, my mind was made up. I knew exactly what I was there for. Until, the oh-so eccentric Mac sales gal suggested a product I wasn't familiar with. That's when she introduced me to Prep + Prime 24 hour extend eye base. I was reluctant at first but thought, why not? I'm always looking for the next best thing, right? I didn't have high hopes and figured I'd be returning it in a few short days, especially since I knew the eye paint was tried and true. I couldn't have been more wrong. I fell in love with this product. It checks all the boxes and helps me achieve the solid, non-oily foundation I used to enjoy with Urban Decay. Here are a few reasons why I love this product as well as a few tips for using it. 1. It goes on creamy but dries nicely as a matte. 2. It's color neutral. Actually, it dries clear. No picking colors or worrying how it will go with your eye shadow color. 1. Use a generous amount. 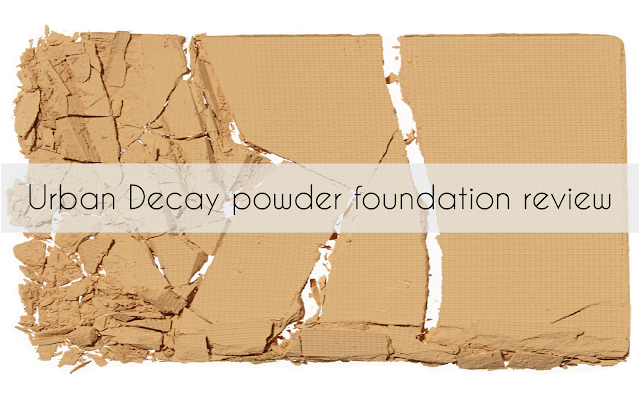 The first few times I used it, I didn't use enough of it and as a result, it didn't provide that solid foundation I was looking for. 2. Let it dry completely before applying your eye shadow. I usually apply it then move on to blush and Touche Eclat to give it a few extra seconds to dry. 3. Remember that it's clear in color so you may want to apply a neutral base color. I use this one. If you're in the market for a good eye shadow base, I highly recommend this one. Already tried this one? I'd love to hear your thoughts. And because I haven't blogged in a few weeks (oops!). 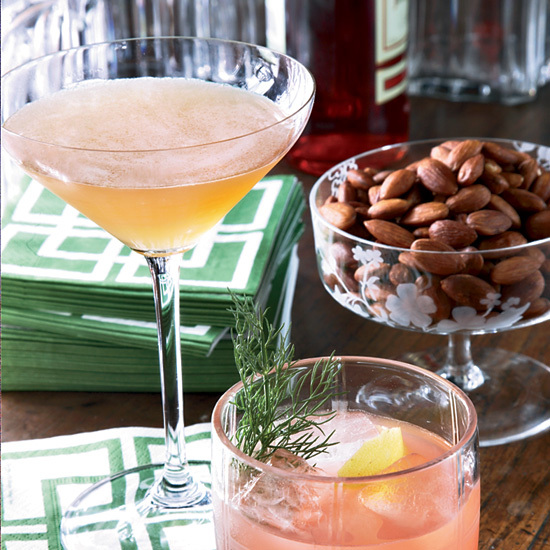 We could all use a cocktail, right? My love for champagne cocktails is intense and after a recent trip to New Orleans (more on that later) I was reminded of how much I enjoy a celebratory cocktail for no apparent reason. 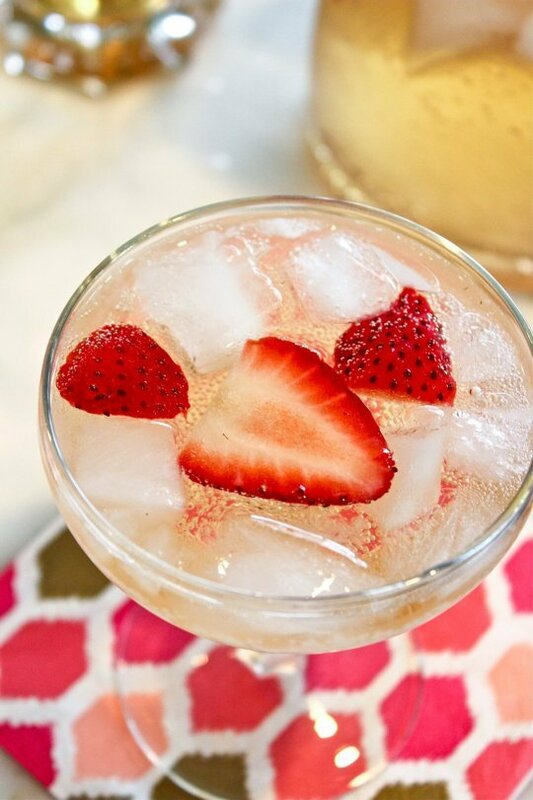 With that, I thought I'd bring you a few champagne cocktail ideas today. 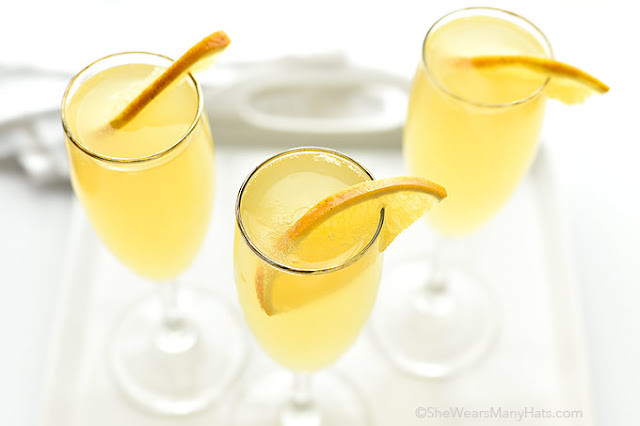 My very favorite champagne cocktail is none other than the French 75. It's light, citrusy, fancy and pretty. I'm typically not a gin drinker but for this cocktail, I make an exception. 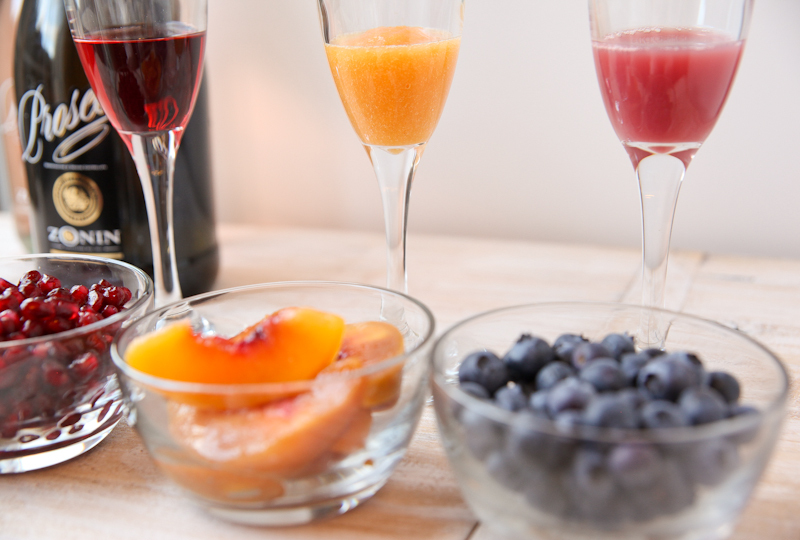 This time of year, a Bellini bar sounds just perfect for a weekend brunch. And with the season winding down soon, we should all capitalize on this idea stat. I adore St. Germain and when paired with champagne, it's a winning combination. 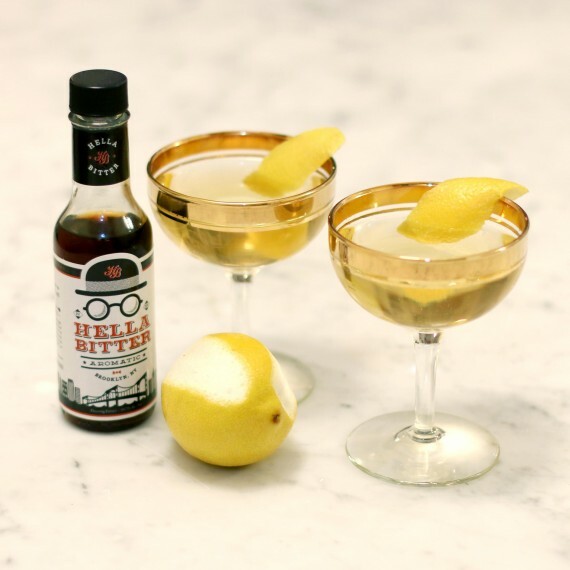 This elderflower champagne cocktail is quickly becoming a favorite--especially this time of year. And of course there's the ole breakfast standby, the Mimosa. One can never go wrong with this reliable classic. What's your favorite champagne cocktail? Cheers--hope y'all have a great Monday! For years I've used Chanel's Double Perfection Powder Makeup. From time to time, I'd try something new (remember this post?) but I'd always go back to Chanel. About a year or so ago, they changed the colors and the formula and since then, I've been a little disenchanted with my go-to. So I've been on the prowl looking for a powder foundation that met all my needs. 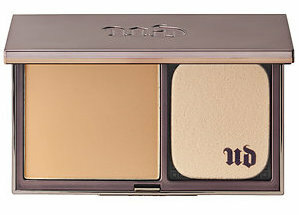 Recently, I tried Urban Decay's Naked Skin Ultra Definition Powder Foundation. I've used it for about two weeks now and have decided to stick with it. Here are my top five reasons for giving this product two thumbs up. 1. Color options. With a wide range of color options to chose from, you're bound to find a color to suit your skin tone. I'm Medium Neutral. 2. It's paraben free! Parabens are so bad, y'all and you should avoid them at all costs. Parabens have been linked to cancer and they love to hang out in lotions, shampoo, makeup and lipstick. 3. It's oil free. This is a big deal for me, especially on those high humidity days. 4. You can use it wet or dry. I haven't tried it wet just yet but I plan to give it a whirl to see just how diverse this powder is. I apply with a kabuki brush. It gives great coverage even by the end of the day. 5. It's less than $40. Enough said. The only thing missing is SPF, which is important. Chanel's foundation has SPF 15. However, my moisturizer does have an SPF of 15, which is enough for me...at least for now. We all know going more days between washings is better for our hair. Less heat means less stress and healthier looking hair. For me, it's just pure laziness. Just keeping it real. Drying and styling my hair takes up the most time during my routine. It's exhausting. If I can get away with a few days in between, I'm all about it. Plus, on the days I don't wash my hair, it gives me a few extra minutes in the mornings. Who doesn't love that? I've found dry shampoo is critical for extending styles between washings. I've tried several brands over the years--remember this post and this post? And I'm always searching for the next best thing when it comes to dry shampoo (and mascara for that matter!). I recently tried this dry shampoo by MoroccanOil and I'm pretty much convinced it's the best dry shampoo out there. So you're probably thinking... what makes this dry shampoo different? Well, many things set this product apart. First of all, it's UV-protecting. That's always a plus, right? Secondly, it utilizes ultra fine rice starches to absorb oil, buildup and oder. What does that mean? Less chemicals. And to top it off, it smells wonderful. 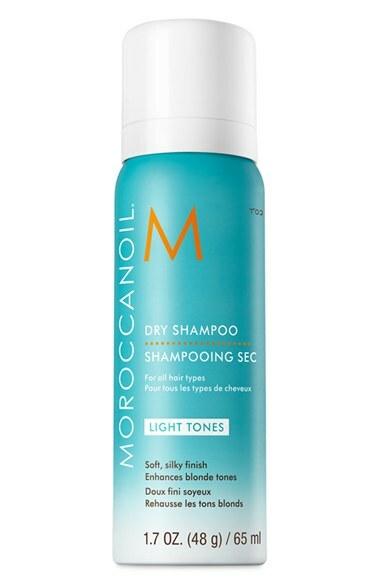 If you're familiar with the MoroccanOil brand, you'll be delighted to know this dry shampoo is scented with the brand's signature scent. It's a nice subtle fragrance. Another thing I really like is it comes in two colors--light and dark. No chalky white residue! If you're on the fence, I recommend starting with the travel size. It's not much of an investment (10 bucks) and you don't have to use as much of this one meaning the travel size will last longer than you think. Not feeling a premium brand? This drugstore/Ulta option is still one of my favorites, too. See full review here. Whew, we made it to Wednesday. Only a few more days until the weekend and some welcomed downtime. Speaking of downtime, my blog bestie is enjoying lots of downtime on her fabulous Florida vacation. While she's gallivanting on the white sandy beaches of Watercolor, I'm guest blogging about one of my favorite subjects, Savannah. Yay! There's nothing I love talking about more! 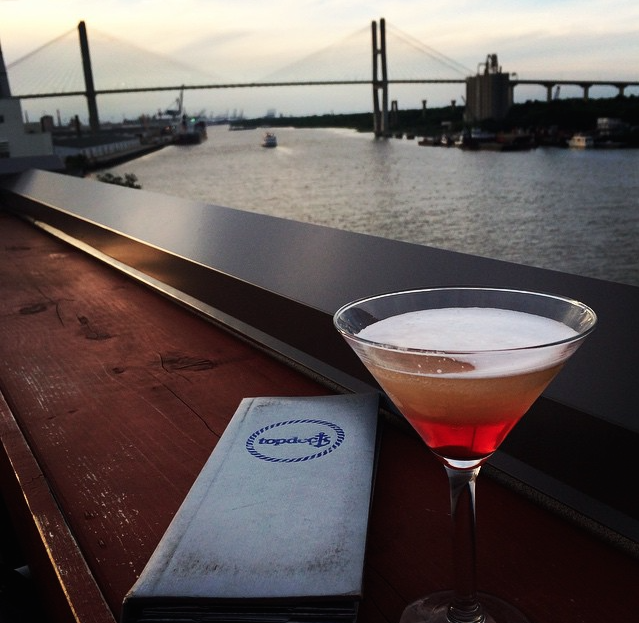 Get a glimpse of Savannah from a local's perspective over at Probably Polka Dots. Learn about my favorite spots, favorite dishes and favorite things to do in this beautiful city. I hope you'll join me!